Here is what you need to know if you’re thinking about buying a new vehicle. 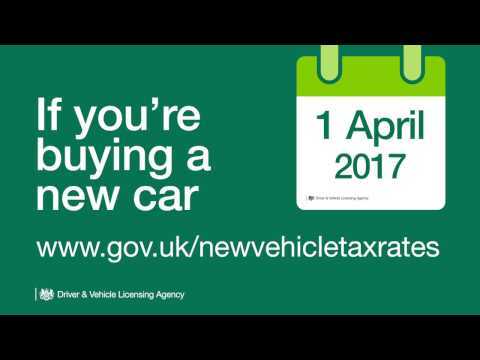 You’re not affected if your vehicle was registered before 1 April 2017 - check your vehicle tax rate to find out how much you’ll need to pay. The amount you pay the first time you tax your vehicle is based on CO2 emissions. Check the vehicle tax rate tables to find out how much you need to pay. If you buy a vehicle with a list price (the published price before any discounts) of more than £40,000, you’ll pay a rate based on CO2 emissions the first time it’s taxed. When you tax it for the second time you’ll pay one of the new rates (depending on the vehicle) and an additional rate of £310 a year for the next 5 years. After 5 years, your vehicle will then be taxed at one of the new rates again.